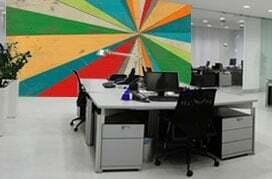 The Metropolitan Museum of Art™ recently made more than 375,000 digital images from its collection freely available to everyone for every purpose – including the creation of your own, custom-sized The Met™ Museum Wall Mural. All of the high-resolution images of these museum masterpieces are now available in the public domain under The Met™’s Open Access policy with a designation of Creative Commons Zero (CC0). That means you can use them however you want, with no restrictions, and at no charge for the digital file. 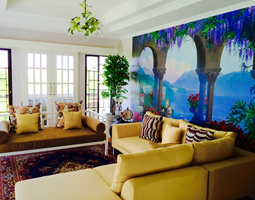 Magic Murals custom museum-quality murals using only premium materials and the finest quality inks. Our American-made, large art prints have become the standard for discerning interior designers, wallpaper professionals and do-it-yourselfers in the residential, corporate and business markets. 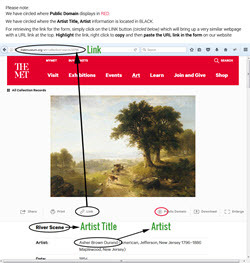 Go to The Metropolitan Museum of Art website or click on one of the popular artist collections below. 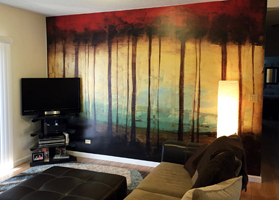 Use their search functions to find the image you want to turn into a wall mural. Make sure it has the Public Domain filter selected. Fill out and submit The Met™ Mural Order Request form in its entirety. To better understand the different materials available and which may be most appropriate for your project, please see our Compare Materials section. Other questions are answered on our FAQ page. To see examples of our work and get some inspiration from our clients, we invite you to browse our Customer Gallery. 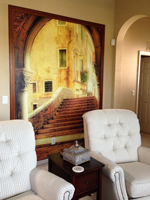 Our customers do some amazing things with our murals and we are so thankful they send us their pictures. We can't wait to see what you do with your murals masterpiece. THANK THE MET™ for this wonderful gift. 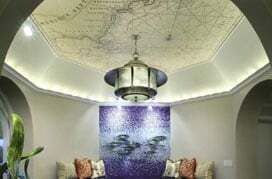 Magic Murals looks forward to HELPING OUR CLIENTS CREATE MUSEUM-WORTHY WALLS in their homes and businesses. Many of the trademarks, service marks, and logos (collectively, the "Trademarks") displayed herein, including THE METROPOLITAN MUSEUM OF ART, MMA, "THE MET" LOGO, the RENAISSANCE M logo, THE MET BREUER, THE MET CLOISTERS, WILLIAM, and the HIPPO DESIGN, are registered and/or unregistered marks of The Metropolitan Museum of Art. Use of them does not imply any affiliation with or endorsement by them. Magic Murals just wanted to make sure they received all the credit they are due for making their collection available to the world. Thank you!